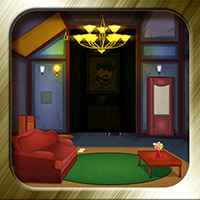 Description: This is the 237th escape game from enagames.com. Assume that one fine day in the middle of the night you are dreaming like travelling into a fantasy forest. It is full of weird and wonderful creatures. You lost the exit path in this forest. Need to escape as soon as possible to come out of this dream. Click on the objects to interact with them and solve simple puzzles. This game contains fantasy thoughts so think as like that. Play enagames and have fun! !